bonefish, permit, and tarpon—this is a life’s compilation of saltwater fly-fishing photography by one of the most acclaimed outdoor photographers. Each section has an accompanying essay by the legendary Tom Rosenbauer that takes the reader along on a memorable trip to the world’s greatest fishing destinations. For the serious fly fisherman, it is an album of shared experiences. For those new to the sport, it is an artfully crafted guidebook to the exotic world that exists on the waters of American coastlines and islands. 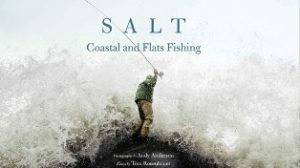 Experience the world’s greatest coastal fly-fishing destinations with this stunning volume, an ideal gift for any angler’s library. than 12 books on fly fishing, including Universe’s The Orvis Guide to Small Stream Fly Fishing. Guy de la Valdène is the author of several books, numerous articles for Gray’s Sporting Journal, Sports Afield, and Field & Stream, and director of the highly acclaimed documentary Tarpon. Video Hatch: "John Gierach Talks Tenkara: All Fishermen Are Liars"